Programs include Housing Choice Vouchers, Project-Based Vouchers, specialized housing assistance, Family Self-Sufficiency, affordable real-estate development, community development projects, resident services and the management of our own properties. 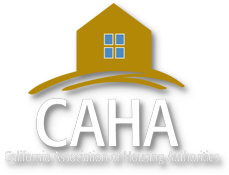 The Anaheim Housing Authority administers federally-funded programs and grants allocated by the Department of Housing and Urban Development (HUD) in the City of Anaheim, CA. The Housing Division provides a range of services to improve the quality of life of low- to moderate-income residents and neighborhoods. The Commission sets policy in regards to the affordable housing programs administered by the Authority, approves the Authority's budgets, hires and supervises the Executive Director, and generally represents the interests of low-income and very low-income tenants in Benicia. Housing programs including the First-Time Home Buyer Program, Mobile Home Rehabilitation and Replacement Program, Community Development Block Grant (CDBG) Housing Program, CalHome Program, Home Investment Partnerships Program (HOME), Rental Assistance Program and provide gap funding for the construction of low and moderate income housing.